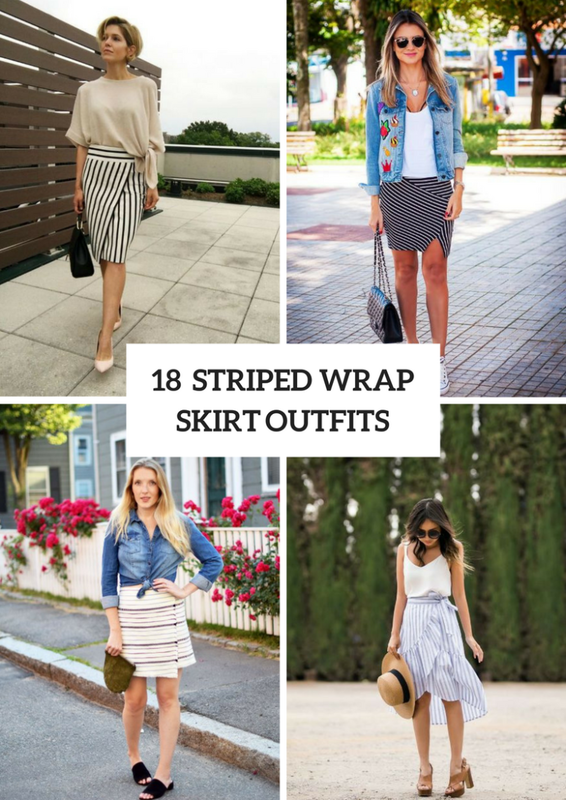 We continue to share with you cool and feminine outfits for the summer, and today let’s consider gorgeous ideas with striped wrapped skirts. 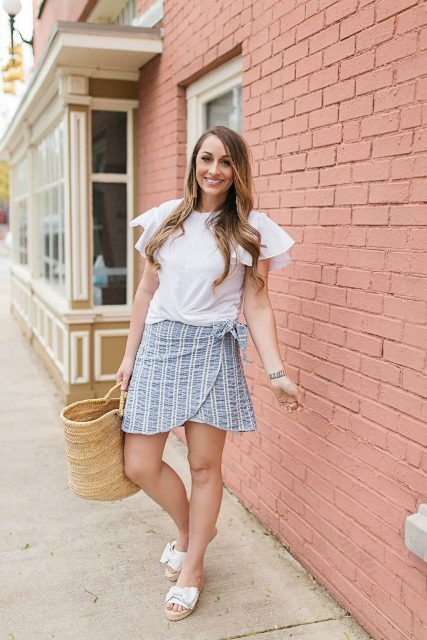 Fashionistas combine such skirts with classic button down shirts, flirty off the shoulder blouses, sporty crop tops and funny t-shirts, and they always look stylish and chic. So you can try to add striped wrapped skirts to your looks too. You can choose skirts with horizontal or vertical stripes, black and white or colorful ones, mini, midi or maxi, pencil or A-line ones. 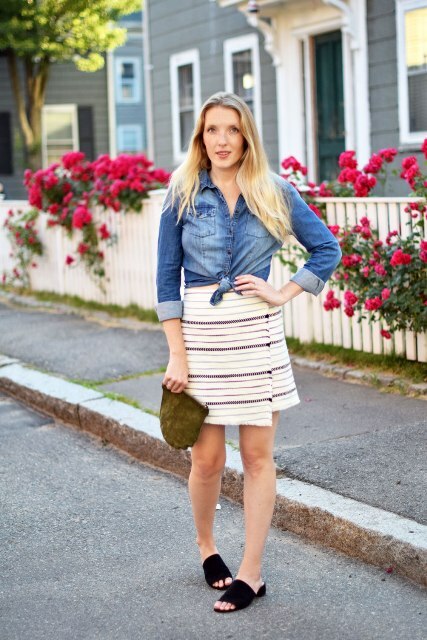 Now you should scroll down and find your perfect skirt for the next summer days. Enjoy! There are so many casual outfit ideas with such skirts, so, first of all, you can take a white classic t-shirt and pair it with a white and black striped wrapped knee-length skirt, black flats and a straw small bag. Secondly, you can try to repeat a combination with a blue crop top, a midi skirt, red and white striped flat shoes, sunglasses and a yellow clutch. And, thirdly, you can mix a white top with a denim jacket, a striped fitted mini skirt, white sneakers and a black leather chain strap bag. For making a beach styled outfit you can combine a white off the shoulder blouse with a straw wide brim hat, a maxi skirt and flat sandals. If you want to create something official, then take a look at an outfit with a beige loose blouse, a high-waisted knee-length pencil skirt, a black small bag and beige pumps. For more flirty and romantic look you can take a white airy top and combine it with a white and light blue striped wrapped skirt with ruffles, a straw hat and brown leather platform sandals.